There is no doubt to anyone who has eyes to see and ears that hear that the myriad headlines that dominate the media reveal egregious corruption amongst trusted officials and the kind of moral turpitude that causes a collective cringe. 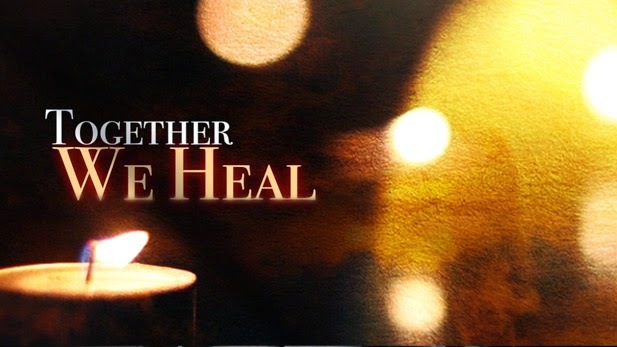 For decades, the seemingly at peace Orthodox Jewish world has had its share of shocking publicity when facts emerged about horrific child sexual abuse; perpetrated not by circumspect types in the outside world but by respected adult members of the community. Raising one’s voice in outrage and indignation and thusly confronting the dense wall of silence that has been erected by the Orthodox Community in shielding perpetrators has been a most daunting venture. Given the community’s resistance to speaking openly about this terrifying phenomenon, those who would entertain the notion of crossing this invisible line are readily shunned; threatened and even ostracized. Enter Mark Meyer Appel, founder of the Voice of Justice. Mr. Appel’s name has come to personify those victims of abuse whose voices have been drowned out in this continuing and painful conversation. Mr. Appel , however, cannot claim neophyte status in terms of acquiring knowledge on child sexual abuse. Moreover, Mr. Appel’s dedication also stretched to those children with special needs who had been previously ignored or neglected by the system that was created to serve them. In 1990, Mr. Appel worked with both city and state agencies to establish an early intervention program for special needs kids, kids at risk and learning disabled kids. Mr. Appel also played a major role in finding jobs for marginalized kids, providing them with an appropriate education and offering them a substantial amount of financial support. “When I worked with youth at risk during programs at my home, I discovered that many of them had been horribly abused, “ Mr. Appel ruefully recalled. “Over the years, we became involved in major cases of those charged with child molestation. We spent many years attending court proceedings and trials to show our constant support. We want these victims and survivors to know that we have their backs,” said Mr. Appel. 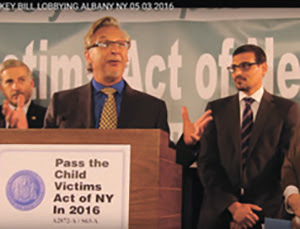 For the last eight years, Mr. Appel has devoted the lion’s share of his time to conducting well organized lobbying efforts in Albany to call for a major reform in the statute of limitations. The proposed modification in the law would grant victims of child sexual abuse a sufficient amount of time to file criminal charges against the person or persons who perpetrated the heinous acts against them. “It is our moral responsibility as Orthodox Jews, as upright citizens of this country, to make it our business to eliminate these predators, “ intoned Mr. Appel. “Because child sexual abuse gets swept under the proverbial rug in Orthodox circles , it very often comes out many years later. I worked with victims who were abused over 20 years ago, and who never pursued their cases out of fear and always remained mum about it. One day, without warning, a trigger will go off in their brain and all the nightmarish memories will surface and they will be reliving the abuse. Now, however, as adults they do want to redress their grievances in a court of law and that right should be afforded to them,” he said with palpable emotion reverberating in this voice. 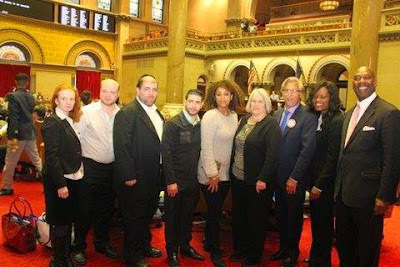 Known as the Child Victims Act (Bill # A2872A – in the assembly) and initiated by Assemblywoman Margaret Markey, (D-Queens), the legislation, if passed, would eliminate these time constraints in criminal and civil cases of child sexual abuse. At the beginning of May, Mr. Appel was joined by more than 130 Jewish leaders who have also signed the petition backing the bill. Among those rabbis and advocates are Jewish Community Watch, Kol v”oz, The Voice of Justice, Mageinu, United Support Network, Jewish Board of Advocates, and The Bridge Project. New York’s archaic statute of limitations sharply limits the time victims have to bring charges against a molester. A victim must come forward within five years after the age of 18 to bring criminal or civil charges against their abuser or any agency or organization that should have reported the crime. As was reported in the Daily News, New York City lags behind states like Georgia, Massachusetts, Florida and Utah, all of which in the past several years have passed bills that lengthened the time victims have to bring their cases to court. Some victims are unable to come to grips with the abuse they endured until middle age or even later in life but certainly not before the age of 23. Furthermore, in religious communities, by limiting the right to sue and prosecute to the age of 23 has created a situation where victims of abuse may have lost a chance for closure to come forward with charges regarding the abuse suffered. “Our biggest impediments in having this bill pass are the extensive influence of the Catholic church, the opposition of the Agudas Yisroel of America and the abject silence of Governor Cuomo, Senate GOP leader John Flanagan and Assembly Speaker Carl Heastie, “ explained Mr. Appel. “What I can say is that the statement released to the media by Rabbi Avi Shafran of the Agudah (an organization that represents haredei Orthodox yeshivas and shuls), along with the backing of the Moetzes Gedolei HaTorah and other yeshivas such as Chaim Berlin and Torah V’Daas only serves to further infuriate the victims of child sexual abuse because what they are essentially saying is that they don’t want to be held accountable for the abuse that took place on their premises. They don’t want to confess as to whether they knew or did not know that such abuse was happening, “ said Mr. Appel. For its part, the Agudah has said the bill would open up institutions to “ancient claims and capricious litigation,” as they had written in a 2009 statement it had issued in conjunction with the haredi schools network Torah Umesorah. Recalling that he attended an event about three years ago that was operated by “Sacred Lives” ( a group dedicated to helping abuse victims), Mr. Appel said that many Jewish summer camp directors were present including Rabbi Ronnie Greenwald, zt’l of Camp Sternberg for girls in upstate New York and Rabbi Zweibel of the Agudah. He had also donated tens of thousands of dollars to ensure it success as he has done throughout his career working with abused children. 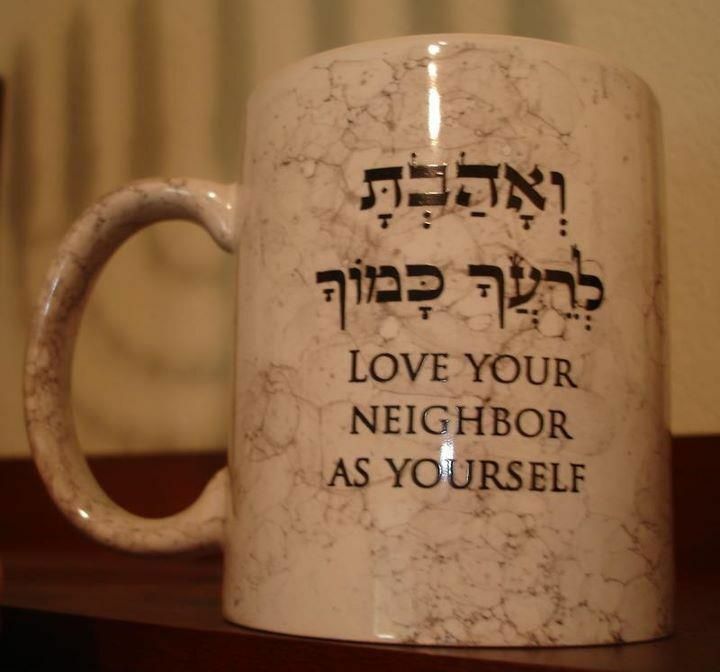 “These rabbonim have to agree unanimously that abuse will no longer be tolerated. The good news is that there are many who are very supportive of abuse victims,” said Mr. Appel. He adds that such culpability on the part of the Agudah and the yeshivas where the abuse took place would have done much in the way of promoting emotional and mental healing of the victims. “It would have graphically illustrated the fact that the yeshiva took responsibility for the reprehensible acts that took place under their bailiwick,” said Mr. Appel. He added that because victims have been filing abuse charges in other states, it is beyond shocking that not one yeshiva in California has been shut down. “The Catholic Archdiocese was sued and there was $1 billion in claims,” he said. He said that the only way that a case against a yeshiva can have legal legs to stand on is if it can be proven in a court of law that teachers and administrators were involved in covering up the abuse. He added that there is a possibility that this precise point that has placed the Agudah and its attendant yeshivas in a defensive posture, but many variables remain to be seen. New York - Last Sunday night in Englewood, I attended the funeral of a good and charitable man. The father of a large family, he truly was one of those rare few about whom people have only positive things to say. The question that was on my mind throughout the eulogies was the one question that was not addressed: How could such a good, religious man die so young? 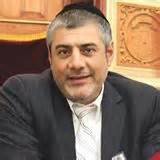 Rabbi Yosef Mizrachi, a Jewish outreach .“expert,” said at an Englewood bar mitzvah that I attended that Jewish women who were being lined up to be gassed did not care about their modesty as the Nazis stripped them of their clothing. I had never heard anything so disgusting in my life. He said it as a way of explaining that the martyrs of the Holocaust were not so righteous as we otherwise might suppose. A modern Orthodox crowd sat there listening and barely flinched. We all should have been ashamed of ourselves. Now Mizrachi is in the news yet again for outdoing even these loathsome ideas, this time actually denying that six million Jews were murdered during the Holocaust. In 1984, Mahmoud Abbas wrote a study based on his doctoral dissertation where he attempted to prove that the number of Jews killed in the Holocaust “might be much smaller — even less than one million.” Abbas, who has the blood of countless Jews on his hands, is not alone in these vile claims. But I was pretty shocked to read that Mizrachi joined him by posting a YouTube video recently that said, “In every place, we have become used to hearing that six million Jews were murdered… But the truth, I am telling you, is that not even one million Jews were murdered. Scholars immediately spoke out to refute this ignorant hate speech, and Mizrachi was forced to apologize last week. But what was going through his mind when he thought it okay to dishonor the memory of the six million innocent human beings murdered by the Germans? Did he consider that Holocaust deniers will forever quote with glee that even an Orthodox rabbi believes that many fewer than six million Jews died? But Mizrachi’s despicable statements about Holocaust victims are par for the course. He describes the Holocaust as “five years of punishment to many wicked people [from God].” He also says that the reason why it happened to the Jews in Europe was because many of them became less religious and stopped keeping kosher and keeping the Sabbath over the years. Mizrachi’s reasoning, of course, is easily refuted garbage. In 1933, there were approximately 522,000 Jews living under the Reich. Beginning in January of that year, the Jews experienced public beatings and humiliations. Businesses were boycotted and synagogues desecrated. In 1935, the Nuremberg race laws were enacted, followed by the 1938 horrors of Kristallnacht. During this entire time, the Jews of Germany tried to get out. They could see with their own eyes that if they didn’t leave, they would be doomed. At the start of the Second World War, 304,000 of them had emigrated. And though most nations of the world refused to accept them, a majority finally were able to escape. The Jews who did not escape Hitler’s ovens were, among so many other millions, the chasidim and ultra-religious Jews of Poland. They had no idea about Hitler’s plan to invade via blitzkrieg on September 1, 1939. Are we to believe that these devout and pious Jews, who observed the smallest details of Jewish law in keeping the Sabbath and keeping kosher and who prayed three times a day, were punished with death? And if so, then why did a majority of their German Jewish brothers and sisters, whom Mizrachi sees as far more “sinful,” survive? Mizrachi also states with confidence that the reason Sephardic Jewry was spared the Holocaust is due to their continued observance of Jewish ritual, just as the Ashkenazi Jews historically had been accustomed to do until the years leading up to the Second World War. 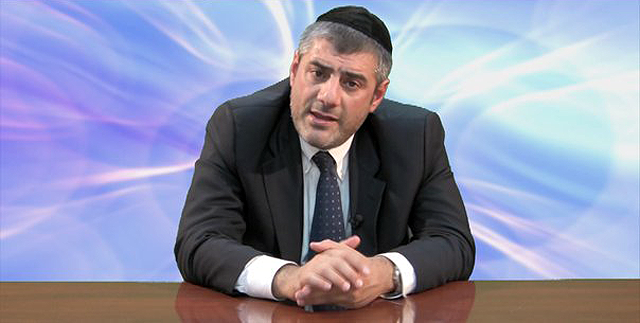 Rabbi Mizrachi, what about the 1190 Massacre of the Jews in York, the Rindfleisch massacres of 1298, the Chimielnicki massacres of 1648-1657, and the countless other pogroms and murders of Jews across Europe and Russia? And let’s also remember the more than 40 major massacres against the “religiously protected” Sephardic Jews living in Muslim lands over the last 1,300 years. Call me a cynic, but I’m always just a little suspicious of religious leaders who obsess over other people’s sexual sins. Mizrachi and rabbis like him are a menace. Just think about how many people who might otherwise embrace Jewish tradition are absolutely revolted by this cruel twaddle that is fraudulently passed as authentic Judaism. Jews are now being murdered in Israel almost every day. Diaspora communities should be shaking the foundations of the heavens, demanding from God that they be protected, demanding of our State Department that it stop the balderdash of “both sides” needing to de-escalate, and demanding of rabbis that they lead the charge in defending Jewish life. Great Britain in order to rally the free world against this raving madman. Sir Winston Churchill had the choice as to whether to meekly oppose the forces of tyranny and evil or to rally against it with all that he had. My dear Senator, you too have this choice. During these three weeks since this Iran deal has been announced you have carefully studied it and you have concluded that you will individually oppose it. You can do this, and thus passively allow the president to veto Congress’s rejection. Or you can choose to fulfill your obvious destiny, a destiny you say that your own mother had foretold. At this past Agudah dinner held in May, that you had attended and addressed, you and the Novaminsker Rebbe shared the same message. In the two hundred dinners that I have attended, never in my life have I heard the same message from both a Gadol haDor and a politician. Your task, your life mission is clear. It is not the politics that politicians play, but it has got to be real and genuine. You must rally and lead. You must call every single democratic senator to override the president’s future veto. You must work the phones, day and night. You must not rest until you have lobbied, convinced, and cajoled every democratic senator on your speed dial. Blast them with emails. Text them. Call them. Use every means at your disposal for this is your true mission. Don’t have the staff? We will help you. Every single one of your Jewish constituents and our readership will volunteer in this task. Donald Trump is in the headlines every day saying some message. Where are you Where is the Shomer Yisroel that you spoke about at the Agudah Dinner? stand for, you must follow it. Schumer, Schumer, Yisroel, Shmor sheris yisroel. V’al yovad, v’al yovad yisroel, haOmrim Shma Yisroel. 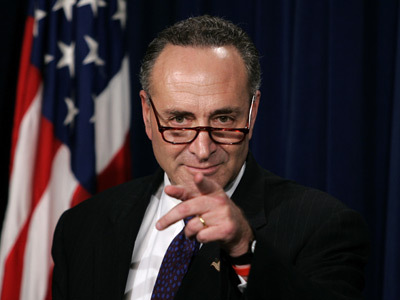 Schumer, Schumer, guard the remnant of Israel. And let them not be destroyed, Let Israel not be destroyed – those who recite the Hear O’ Israel. This deal, by the standards that you yourself have proclaimed at that May Agudah dinner, is a tragc failure. You spoke about inspections, “any where and any time.. unannounced. You said it should be even at new and previously unknown places..
Where is your voice? Your voice, once so eloquent and so proud? THE BRIDGE MISSION TO ALBANY LOBBY DAY FIGHTING FOR SCHOOL TUITION TAX CREDITS AND PASSAGE OF "THE CHILD VICTIM ACT"
More than one person attending the recent open house at The Bridge, a new center in Midwood, Brooklyn, devoted to promoting diversity, marveled at what they saw that night. Members of the borough’s Orthodox-Jewish, black and Muslim communities cross paths every day, but rarely do they come together to celebrate what they have in common, as about 300 did Oct. 19 for the opening of The Bridge. 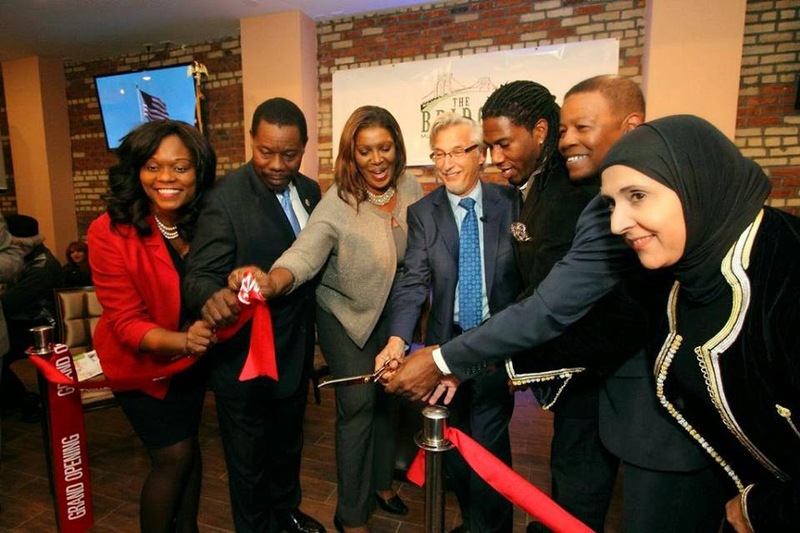 The center, the full name of which is The Bridge Multicultural and Advocacy Project, is the vision of Mark Meyer Appel, a social activist who owns the building, along with neighboring properties on Flatbush Avenue. His idea for the center, he told the gathering, is to bring together diverse elements of the community through art shows, music and dance concerts, and advocacy efforts around issues affecting Brooklyn. But Appel is doing so at what seems like an especially tense time, marked by a rash of violent incidents. The incidents have included so-called “knockout” attacks by gangs of black teens who, according to reports, have targeted Jews in Crown Heights, reminding some residents of the riots 23 years ago. The latest such attack took place Oct. 12, when teens rushed into a kosher deli, ransacked the store and shouted anti-Semitic slogans as one of them punched the owner in the jaw, newspaper accounts said. Only days earlier, pro-Palestinian protesters allegedly attacked Leonard Petlakh, executive director of the Kings Bay Y, following an exhibition basketball game between the Brooklyn Nets and Maccabi Tel Aviv at the Barclays Center. Police have arrested a suspect in that incident, but say they won’t charge him with a hate crime because they don’t believe bias was involved. Some of the speakers at The Bridge, including Brooklyn District Attorney Kenneth Thompson, alluded to those incidents, promising that any hate crimes would be investigated and vigorously prosecuted. But the speeches also emphasized the positive, focusing on the value of efforts like The Bridge. “There’s no greater cause than allowing people to gather together under one roof and share our similarities,” said Ezra Friedlander, a political consultant active in the chasidic community and Democratic politics. Friedlander was honored at the event, along with Ed Powell, a local political leader and an assistant imam at one of Brooklyn’s largest mosques. In interviews before and after the speeches, various leaders of the Jewish community described their admiration for The Bridge’s founder, who is in the process of moving back to Brooklyn after several years in Florida. Rabbi Postasnik called Appel a “bridge builder,” one of the things that attracted him to the event, he said. Similarly, Bob Kaplan, director of intergroup relations and community concerns at the Jewish Community Relations Council of New York, said Appel “has always been there” whenever tensions in the city have escalated. “He’s always been someone who believes that diversity is a value, not just something to be managed,” Kaplan added. Appel, who grew up in Crown Heights and Boro Park, has ambitious plans for The Bridge, where he hopes to build a computer lab, gallery space and a TV studio. The studio may be used to livestream cultural events and discussions on the Internet. In addition, he said, local charities and arts groups will be able to use space in the 6,000-square-foot center free of charge for their own events. Appel told The Jewish Week that he first learned about diversity while hearing of his mother’s rescue at Auschwitz, where the soldiers who helped her survive included black and Asian Americans. Appel worked for many years for nonprofit organizations, but made most of his money from real-estate investments, he said. He’s also played an active role in advocacy efforts, especially those geared to helping abused children and developmentally disabled children. That background earned him appointments during the Giuliani administration to the advisory board of the city’s Department of Mental Health and, later, to the city’s Health and Hospitals Corporation. Although the project is new for now, Appel said he hopes to form a task force that would represent all of Midwood’s major racial, religious and ethnic communities. But the one area in which he may have trouble achieving consensus is over the positions he takes on various political issues, including his opposition to “stop and frisk” police tactics and his support of vouchers to attend private and parochial schools — both heated issues in the community. One elected leader who spoke at the open house, but wished to remain anonymous while talking about the subject to The Jewish Week, said most of the kids in his district attend public schools and, for that reason, would oppose anything that might siphon money away from public education. David Pollock, associate executive director of the JCRC, said his own organization, representing a cross-section of the Jewish community, takes no stand on tuition tax credits because there’s no consensus on the issue among Jewish groups. Meanwhile, Appel and Angelucci hope to partner with other organizations, including the JCRC, that already work in the area of intergroup relations. The JCRC, for instance, is behind the We Are All Brooklyn Coalition, which sponsors a leadership-training fellowship for teens and organizes training forums on issues of concern to the community, Kaplan said. He added that the fellowship program now has more than 200 alumni, including some in influential positions, and they represent a “great resource” for efforts like The Bridge. Mark Meyer Appel raised $300,000 in private funds to repair the 6,000 square-foot brick building he has long owned on 1894 Flatbush Ave. Its renovated first floor open studio space, which can fit up to 300 people, will be lent out free of charge to nonprofits and art groups to host events. 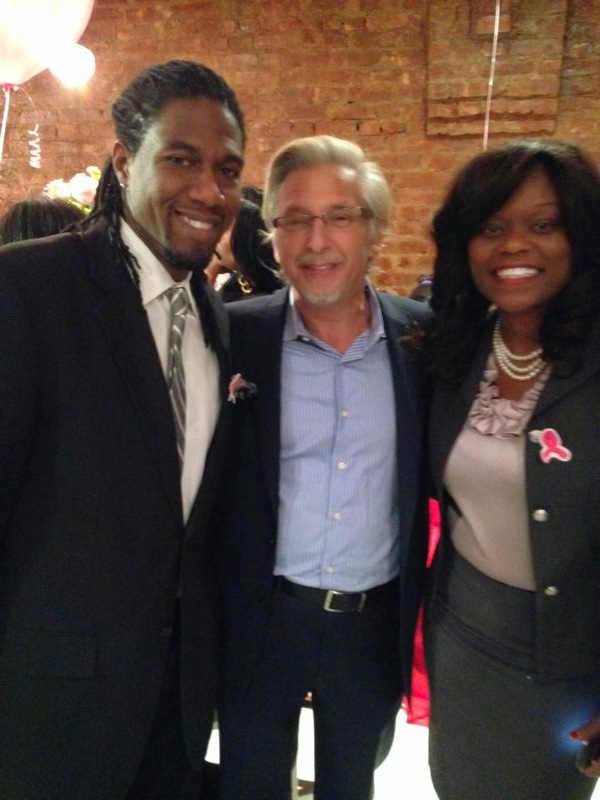 Courtesy of the Bridge ProjectCity Councilman Mathieu Eugene, left, Mark Meyer Appel, center, and Rev. Anthony Meyers. This Brooklyn Bridge is a different type of connector. A top advocate for Jewish victims of childhood sexual abuse is set to open The Bridge Project, a multicultural community center designed to host empowering talks about social justice issues. If we work together, we can do better and have a stronger voice,”said MARK MEYER APPEL, who raised $300,000 in private funds to convert and repair the 6,000-square-foot brick building he has long owned in Midwood. The new interactive facility on Flatbush Ave., set to open Sunday, will also house local meetings and events meant to unify the neighborhood. And its location is symbolic. It borders large, separate Hasidic and Haitian neighborhoods. Appel hopes the center will unite the two racial groups and many others in the borough, including Muslims. “We, as advocates, have been able to effectively send a message and begin major changes in the way the government deals with child abuse, special education and health initiatives for the community,” he said. The building’s renovated first floor of open studio space, which can fit up to 300 people, will be lent out for free to nonprofits and art groups to host events. Discussion topics to take place at the site include stop-and frisk, special education problems and rising poverty levels. We need changes that provide on going anti bias and increase funding which will provide for continued training on a continued basis and on a annual basis , at the same time.. Texas has used such a system over the past decade to develop personnel expertise while satisfying the interests of specialized interest groups and legislated training mandates. Chiefs, academy directors, and POST commissions can and should provide recommendations regarding line personnel training issues as well as a supervisory curriculum that reflects a step-by-step, progressive education program. There has been considerable discussion in several states regarding “cafeteria”-style training programs. Such programs offer both mandated training topics as well as discretionary training preferences within defined timelines. Both limit impact on staffing and agency training costs. Such a system could provide the framework in which special interest, legislated, and profession-preferred training programs would be limited without adversely affecting basic training academy timelines. The police and all officers of the justice system must continue rebuilding the trust in our communities thru more outreach and community partnerships which are the key to rebuilding that trust.Issues of proper policing is not a minority problem it is a problem for all of all our diverse communities. The Voice of Justice is a 501 (c) 3 non-profit social justice organization which advocates for social justice in health care, mental health, immigration, child protection, domestic violence issues, and global issues relating to human rights. VOJ goes beyond racial,religious and ideological divisions and focuses on the need to unite our community as one to make this world a better place for the future generations.